An easy main dish or appetizer! The meaty flavor of portobello mushrooms makes them a flavorful alternative to red meat. They’re extremely versatile and can be stuffed with just about anything. 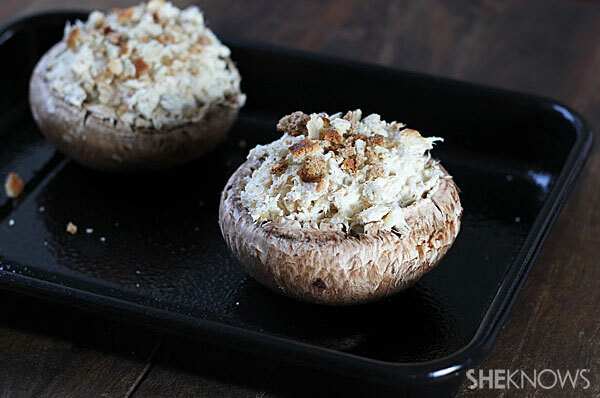 These mushrooms are stuffed with a pre-cooked shredded chicken and cheese mixture, which compliments them perfectly. 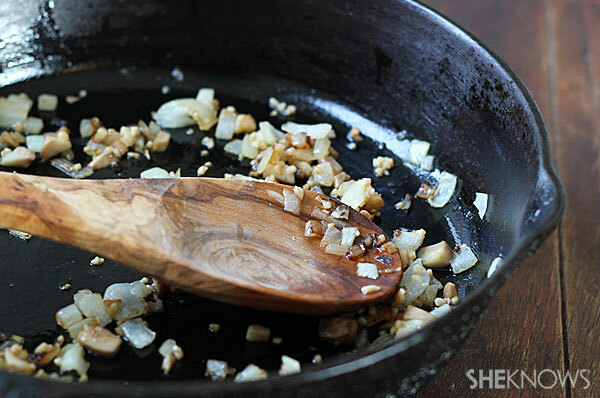 Start by sautéing onions, garlic and the chopped mushroom stems in butter. Add the onions and garlic to a mixture of softened cream cheese, shredded mozzarella cheese, shredded chicken and soy sauce. Stuff portobello mushroom caps and top with breadcrumbs. Cover and bake on a baking sheet for 20-25 minutes or until golden brown. Sprinkle with fresh chopped parsley. 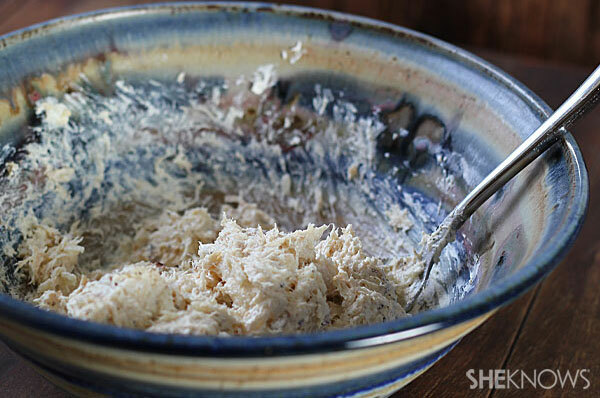 In a large bowl, combine cream cheese, chicken and soy sauce. Stir until combined. Clean and remove the stems from the mushrooms. Coarsely chop the mushroom stems to use in chicken mixture. In a sauté pan over medium heat, melt the butter. Add the onions and sauté until tender, about 5 minutes. Add mushroom stems and continue to sauté about 3-4 minutes. Add minced garlic and sauté until fragrant, about 30 seconds. Remove from heat and add to chicken mixture. Add salt and pepper and stir well to combine. Stuff mushroom caps with mixture and sprinkle with breadcrumbs. Place stuffed mushrooms on a baking sheet sprayed with cooking spray. Cover loosely with aluminum foil. 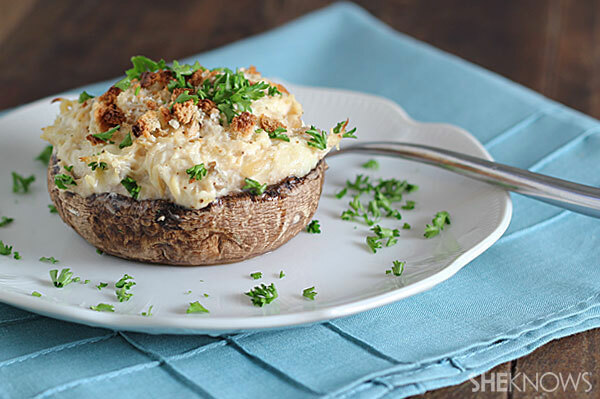 Bake for 20-25 minutes or until mushrooms are soft and the filling is hot and golden brown in color. Sprinkle with fresh chopped parsley.